At Light + Building, the world's leading trade fair for lighting and building technology from March 18 to 23 in Frankfurt am Main, LEDVANCE is presenting specific LED lighting solutions for industrial use. At booth B10 in Hall 2.0, the lighting company will show a large number of additions to its existing basic range. 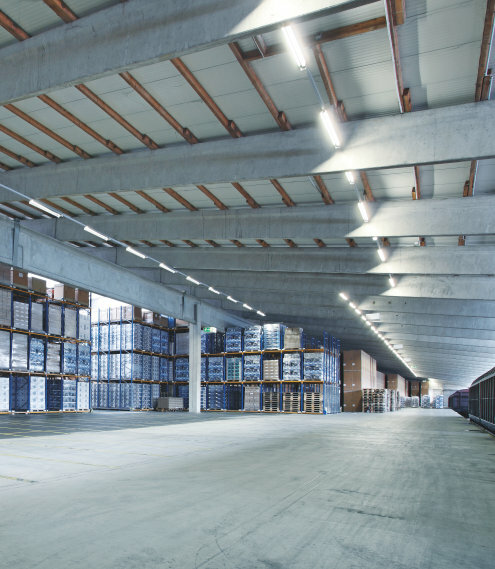 With its new high-end products for special user requirements, many of which can be controlled, LEDVANCE offers an enormous spectrum of attractive lighting solutions for factories, workshops and warehouses – as a one-stop shop for its wholesale partners. Most of the new products will be available at wholesalers this summer. The new LED luminaires for the industrial sector are an important part of the more than 300 new luminaires which LEDVANCE will launch for lighting professionals such as installers this year alone. They are complemented by smart LED tubes and sensor solutions specially developed for industrial applications. The challenges to lighting are particularly tough in this environment: prescribed brightness levels at workstations should enable comfort, concentration and safety. At the same time, robust luminaires are needed which deliver full output even in dusty, hot and humid production environments. 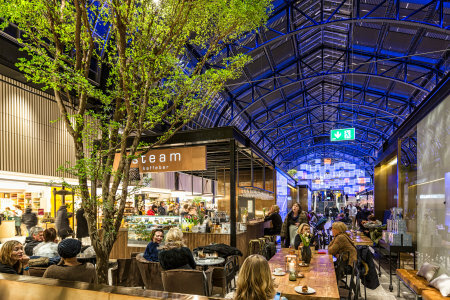 Investment in new lighting should also soon be offset thanks to low energy and maintenance requirements, and DALI and Zigbee connectivity should enable flexible and energy-efficient control. That’s why LEDVANCE is adding smart High Bay DALI luminaires to its product family of powerful high-bay luminaires for warehouses, factories and logistics centers. They can be extended with external presence and daylight sensors, from OSRAM for example, in a DALI environment, enabling daylight and occupancy-dependent operation. This results in even greater energy savings than the new LED luminaires already achieve with their high luminous efficacy of 140 lumen per watt. Another new version is the High Bay DALI CLO, which provides constant luminous flux throughout its entire life. This makes calculations and planning easier for users as they can rely on the products keeping the same brightness levels throughout their L 100 life span of up to 50,000 hours. In factories with many open milling machines, in the food industry, and in commercial kitchens damp-proof luminaires are needed, which can withstand residues of oil, gases and also cleaning detergents in the air. The new Damp Proof Special luminaires from LEDVANCE are so robust that they can even be cleaned with a high pressure washer (IP69K protection) – thanks to high-quality PMMA plastic in combination with stainless steel caps. The visually attractive linear luminaires are extremely energy efficient at 150 lumen per watt. Installation is very simple because the LED luminaires are through-wired at the factory. Mechanical installation is tool-free using simple terminals. The second generation of SubstiTube Connected is ideal for use in factories, warehouses, supply corridors and car parks with several points of access. They will be launched in the summer. The new family of LEDVANCE smart industrial sensors will also be introduced at Light + Building. Their market launch is planned for the second half of 2018. Both the sensors and the new SubstiTube Connected use the new ZigBee 3.0 standard. Because the sensors can communicate directly with each other through the master/slave function, their presence detection can be extended to cover large areas and also several entrances and exits at the same time. This allows for up to 200 SubstiTubes to be controlled as a group, so they come on in sync if someone enters the premises through one of the entrances. For presence sensors with daylight thresholds, the lamps are only switched on when natural brightness is no longer sufficient. This means that using this intelligent system of new SubstiTubes Connected and sensors, up to 90 percent of electricity can be saved compared to conventional fluorescent lamps. Installation and commissioning of the system is easy for installers. Just like in shop lighting, the new TruSys trunking system offers homogeneous and energy-saving lighting for large areas. The flexible strip lighting system consists of mounting rails and extremely flat linear luminaires, which can be quickly clicked into place – as a continuous or intermittent lighting strip. With a luminous efficacy of 135 lumen per watt, energy efficiency is high. Thanks to their housing made of anodized aluminum, the high-quality luminaires offer a weight advantage during installation in addition to their exclusive design. They can be mounted on the ceiling or can be suspended. Of the four available lenses with their different emission characteristics, two in particular are relevant for the industrial sector: the wide-beam lens for uniform illumination in rooms with low ceilings – for example in workshops and factories – and the narrow-beam lens for high ceilings which is needed in high-bay warehouses. The new professional LED luminaires and the smart industry sensor will be launched under the LEDVANCE brand. The SubstiTubes Connected, on the other hand, still bear the OSRAM brand name. They will all be listed in Relux and Dialux planning software in time for the market launch. With offices in more than 50 countries and business activities in more than 140 countries, LEDVANCE is one of the world's leading general lighting providers for professional users and end consumers. Having emerged from the general lighting business of OSRAM GmbH, LEDVANCE offers a wide-ranging assortment of LED luminaires for a broad spectrum of application areas, intelligent lighting products for Smart Homes and Buildings, one of the largest LED lamps portfolios in the industry, and traditional light sources. Since 2017, LEDVANCE has been owned by a consortium, consisting of the leading Chinese LED lighting company MLS and the investment firms IDG Capital and Yiwu. In fiscal year 2017, LEDVANCE achieved a turnover of around 1.9 billion Euro. Based on an agreement with OSRAM, LEDVANCE will continue to use the trusted OSRAM brand for many of its products (SYLVANIA for the USA and Canada). Further information can be found at www.ledvance.com.